I talk a lot here about various issues surrounding various -isms. Racism, sexism, ableism, etc. I comment on people doing good work, as well as things that need improvement. The thing is, though, I'm one guy sitting kind of adjacent to the comics industry. I know some folks who work in it in varying capacities, but ultimately I have no power to really influence them. Or, for that matter, you, the reader. The creators I'm familiar with here are really talented, and judging from some of the other preview art, I'd say this is going to be a really fantastic looking finished book. 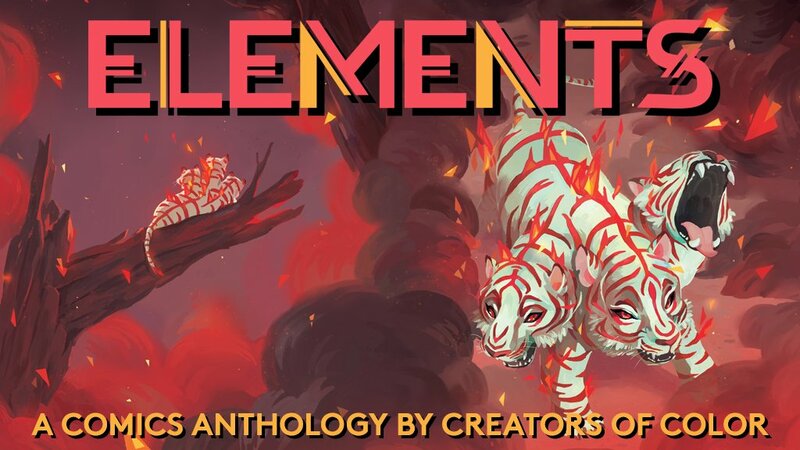 I try not to plug too many projects on my blog here, but I think Elements: Fire is one worth backing.